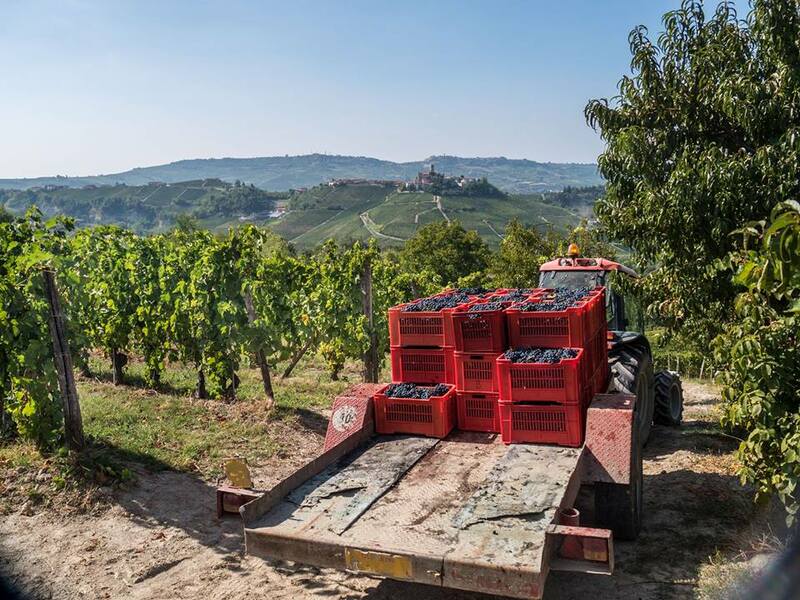 One of the most famous areas in Piedmont is the Langhe wine region. Langhe gets its name from Piedmontese dialect, langhe meaning hills. 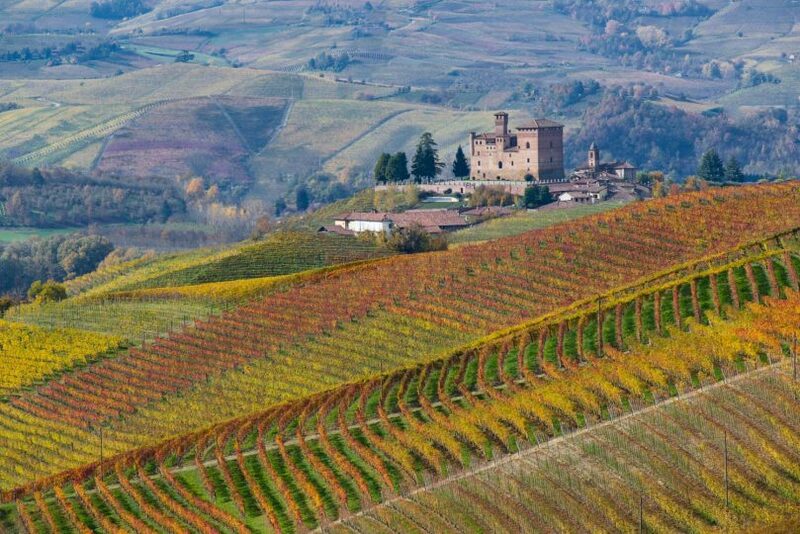 Blanketed in vineyards and dotted with hilltop villages, the Langhe hills make a romantic place to soak in the picturesque landscape while enjoying a glass of red. Many wine lovers come to Piedmont to sip on Barolo, the King of Langhe wine. The Barolo DOCG wine zone can be found within 11 communes: Barolo, Serralunga d’Alba, Novello, Castiglione Falletto, La Morra, Verduno, Monforte d’Alba, Diano d’Alba, Roddi, Grinzane Cavour, and Cherasco (located in the province of Cuneo), with each village definitely worth a visit. You’ll find plenty of places to enjoy wine tastings in the Langhe. Many of the wineries are family owned so, with a few exceptions you’ll need to pre-book a winery visit. Surprisingly, Turin remains still less known to tourists as compared to places like Venice, Florence, and Rome. After navigating the masses of people and lines to get into the famous sights and museums in these more popular cities, Turin is a place which allows you to simply be instead of do as you soak up its atmosphere and step back in time at one of the historic cafes. Its popularity is starting to grow and I would venture to say Turin is one of the most elegant cities in Italy, with its baroque architecture, royal palaces, majestic porticoes, and grand piazzas like Piazza San Carlo, Piazza Castello, and Piazza Vittorio Veneto. 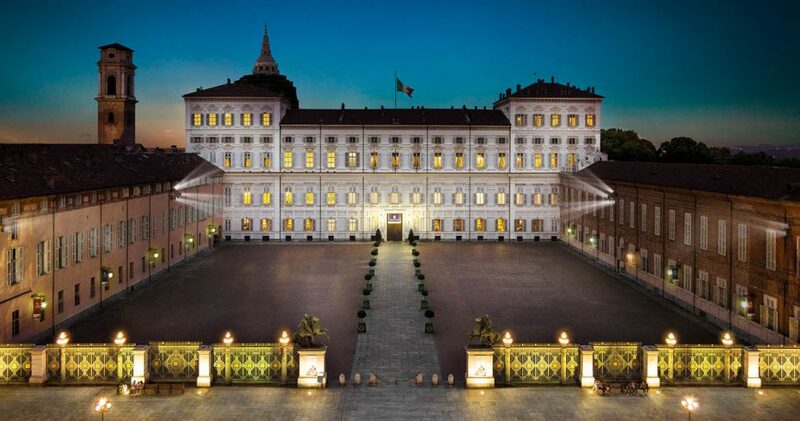 Don’t leave without visiting one of Turin’s royal residences, one of the legacies left by the House of Savoy, like the Palazzo Reale, Palazzo Madama, and Palazzo Carignano. Here’s a list of top things to do in Turin for more ideas. 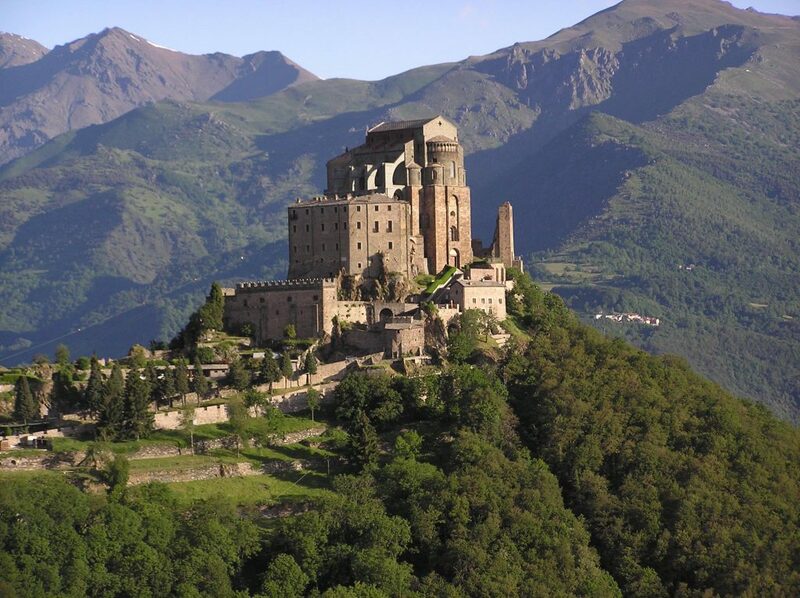 About 45 minutes outside of Turin lies one of the most spectacular spiritual monuments in Piedmont, Sacra di San Michele, a historic Benedictine abbey dedicated to Archangel Michael. Built at the end of the 9th century AD, the abbey sits 962 m (3,100 ft) above sea level and also offers spectaculars views of Susa Valley. The Piedmont region can be proud of the many delicious contributions it has made to satisfy our taste buds. Piedmont has scores of Michelin Star restaurants and is the birthplace of the International Slow Food movement, started by a local businessman Carlo Petrini. So, the Piedmontese take high quality and fresh ingredients very seriously! 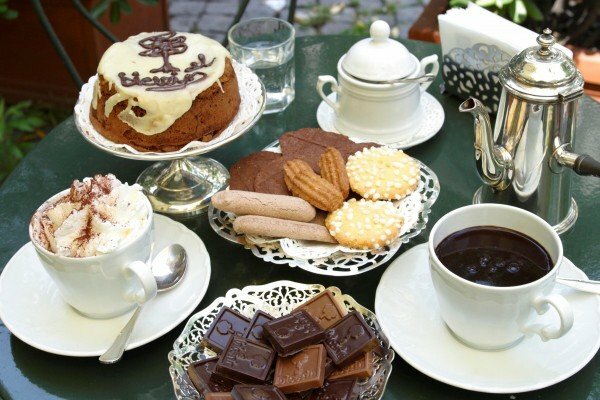 In addition to Piedmont’s high culinary tradition and award-winning wines, Turin is known for its chocolate and pastry traditions and is the home of Lavazza coffee. Ferrero (the makers of Nutella) started in Alba. Alba is also known internationally for its white truffles, and many visitors descend on the picturesque town to buy these white nuggets of gold during the Fiera del Tartufo in October through November. After sampling the region’s delicacies, Piedmont’s diverse landscape offers outdoor enthusiasts plenty of activities to burn off those calories by hiking, nature walking, and cycling, as well as mountain biking, skiing, and more. Turin and the rest of the Piedmont region hosted the 2006 Winter Olympics. 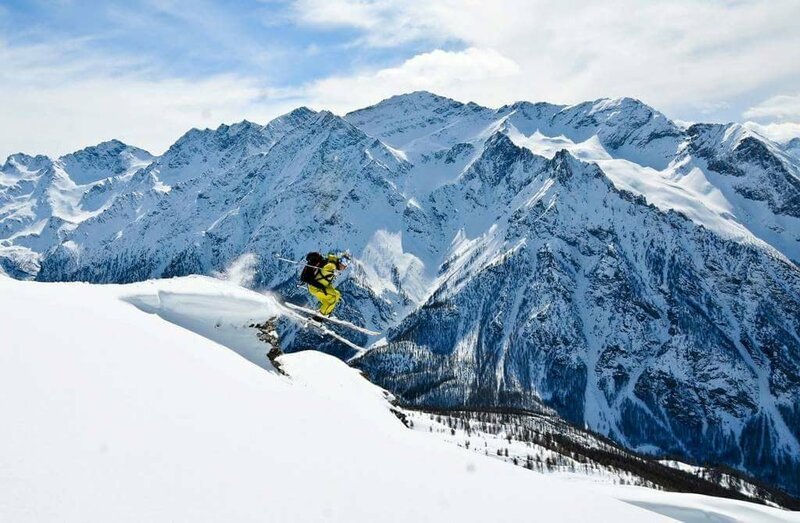 For those looking to hit the slopes, head just one hour outside of Turin to the Via Lattea (Milky Way), which comprises the following ski resorts: Claviere, Sansicario, Sauze d’Oulx, Pragelato, and Sestriere. 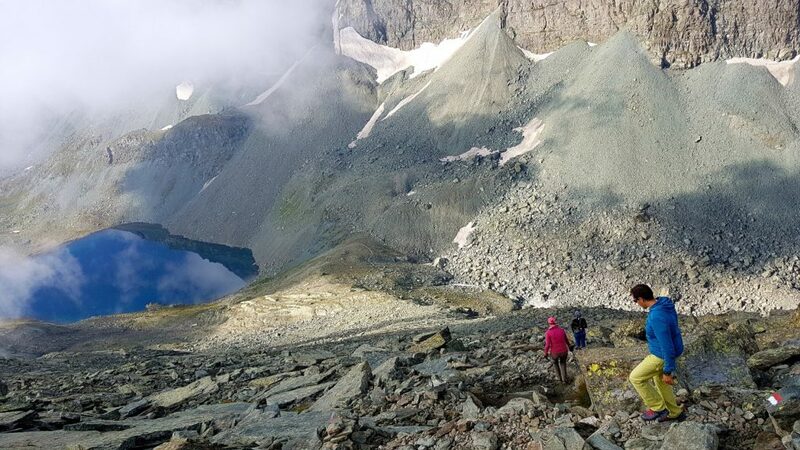 During warmer months, hiking and waking trails abound in the many national parks and valleys like Val di Susa, Val Chisone, and Valle Po (the source of the Po river, the longest river in Italy, can be found here). The Po valley is also dominated by Monviso, the most majestic mountain whose peak can be seen from many areas around Piedmont. Gran Paradiso National Park is a place not to be missed, offering many activities for nature enthusiasts. Also, National Geographic describes the park as paradise found! Earlier, I mentioned the famous Langhe region. The Langhe territory is divided into two areas: Bassa Langa (Low Langa) with its rolling hills and vineyards, and Alta Langa (High Langa) with its rustic charm and hills reaching an altitude of 600-900 m (1,900-3,000 ft) above sea level. The Alta Langa remains a well kept secret, but it’s becoming more popular because of its dramatic landscape, abundance of activities for outdoor lovers, delicious cheeses from Murazzano, and emerging sparkling wine, Alta Langa DOCG, vying to compete with Champagne. The Alta Langa (and key towns like Cravanzana and Cortemilia) is also the heart of hazelnut country producing high quality hazelnuts, some used in the world-famous chocolate hazelnut spread Nutella. Piedmont is rich in royal history thanks to the House of Savoy, notable for leading the unification of Italy as well as the many royal residences sprinkled around Piedmont’s landscape. Visitors can witness this history by visiting enchanting castles, palaces, and former hunting lodges of the royal family, such as Castello Grinzane Cavour, Castello Govone, Reggia di Venaria Reale, and Villa della Regina. These recommendations should inspire you and provide ideas to help you start to plan your trip to Piedmont. This list is by no means comprehensive as the region offers many options for discerning travelers. You will easily need one to two weeks (or more) to fully get immersed in this part of Italy! Denise is the Founder of www.turinitalyguide.com and www.yourfriendinitaly.com. She has traveled Italy extensively and her passion for Italian culture and lifestyle always brought her back to Italy for work and pleasure. She’s an Italy Travel Consultant specializing in Italy, as well as owner of Turin Italy Guide, an online travel guide and blog about Turin and the rest of the Piedmont region.